We had a great time during our stay at the Wedgewood. The room was wonderful. The staff was very helpful and accommodating. It had the perfect location for exploring Vancouver. We can’t wait until our next visit. Since staying at the Belle Syrene in Sorrento, Italy I have become a huge fan of the Relais&Chateaux hotels. I have also stayed at The Wick Inn in Tofino. My stay at the Wedgewood was everything I hoped and more. I arrived early in the morning and was immediately greeted by your excellent doorman (Firby?) who saw to my needs right away. Although my room was not ready (nor did I expect it to be) the check-in desk was able to help me by providing a space to change and freshen up. Jordan (bellboy) carted my luggage all over the place while I settled in from my long flight from Toronto. The both suggested the open balcony on the 2nd floor to relax and brought me some water so that I could collect my thoughts and plan my day. The service all around was impeccable, professional, and welcoming. The breakfast in the Bacchus room was delicious! The Relais&Chateaux chain is now my first choice to look for a place to stay when travelling. I will have to sign up for loyalty program. Above all the most impressive feature of the Wedgewood is the high quality of its staff who are extremely welcoming, friendly and helpful. I have stayed at the Wedgewood often and feel very at home when I am greeted by my name and treated like a family guest. The rooms are very well kept and the hotel is in an excellent location. I would not stay anywhere else in Vancouver! We had a wonderful stay with your luxurious hotel and once again we were delighted by the friendly and fantastic service delivered by all of the staff we dealt with at the Wedgewood. And I must make special mention of the exceptional dining experience we enjoyed at Bacchus on Saturday night. The food was a delight to look at and to taste – fresh and delicious! And the service was top notch, delivered by an individual who took the time enhance our meal by being mindful of all the small details and by demonstrating great enthusiasm about the food and drinks on your menu. I love the ambiance at the Wedgewood. It's like staying in a large mansion. The service was great and we ate a breakfast, lunch and supper and all were delicious! I just wanted to thank you for a most enjoyable stay at the nicest hotel we have stayed at. The entire group thoroughly enjoyed themselves. The staff was amazing and the food was terrific. I will recommend this hotel to my friends and I would certainly make sure I stayed there again. Thank you so much for your hospitality. The most hospitable ,friendly hotel I have ever stayed in. The best beds. Wonderful cuisine. Old world charm, but not dated. The staff in reception and on the door where unbelievably helpful. I would never consider staying in any other hotel in Vancouver. A jewel in the crown . What a wonderful discovery the Wedgewood was! The hotel and bedrooms were elegant, spacious, supremely comfortable and meticulously maintained. Its location couldn't possibly be better for exploring all of central Vancouver's many attractions (restaurants, landmarks, museums, galleries, shopping). Once inside the Wedgewood, however, all was quiet, tranquil and relaxing. But what really made the Wedgewood outstanding was the exceptional charm and helpfulness of the supremely professional staff, especially those at the front door and desk. We were visiting Vancouver with our daughter who was about to begin an exchange year at UBC and the friendliness of Sara, the bilingual Spanish receptionist, and other staff such as Martin, was a wonderful introduction to the city. If everyone in Vancouver is as sincerely welcoming and kind as our hosts at the Wedgewood, we can be confident that our daughter will have a marvellous year. We are also absolutely certain that we will be booking The Wedgewood for our next trip and we look forward enormously to returning to its delightful surroundings. Our stay at the Wedgewood Hotel & Spa beyond exceeded our expectations. The decor was old world beautiful and luxurious while still creating a comfortable, inviting, and relaxing atmosphere. Bacchus restaurant is stunning, with rich colors and textures, and yet so comfortable, it feels like having breakfast in bed. Every staff member seemed genuinely welcoming and nice. We truly felt like welcome guests, not like customers. Other hotels may have good customer service, but it feels business-like, treating a paying customer with cordial professionalism. The Wedgewood practices authentic hospitality and made us feel like welcome personal guests instead of people they are required to be courteous to. Although it is customary to tip for good service, it never felt like staff members expected a tip. In one situation the bell staff assured us a tip was unnecessary and it was his pleasure to assist us.Of course we tipped him for his help, but this was a perfect example of the hospitality at Wedgewood and the difference of being treated as a guest rather than a customer. My husband and I already are planning a return trip next year. We thoroughly enjoyed our stay, thank you. We found the staff to be very welcoming and friendly. The atmosphere is classy without being pretentious. The attention to detail was superb- turning down the sheets, the bathroom provisions, and the gift chocolates were really appreciated. Eleven out of ten! I would not hesitate to recommend the Wedgewood. mind when I reserve our rooms that they will be anything but amazing! One of the best hotel experiences we have ever had. We travel frequently. Wonderful staff and a fine, friendly atmosphere. I come to Vancouver on business 3-4 times a year. I have always stayed at another hotel, until someone recommended Wedgewood. I'm so glad they did. The added touches of breakfast and dinner were definitely a real treat. "After traveling the world since I was young (I turned 57 today) and staying in hotels for business and pleasure and eventually making my way up to 5 star hotels and staying only in 5 star hotels now - I have to say that the Wedgewood In Vancouver is now one of my favourites of all - there was nothing that could have made my stay better!" "This is the second time I've stayed at the Wedgewood and I love everything about it. Everything is designed to make guests feel pampered and cared for. This time I was in Vancouver for business and I came away feeling like I had just been away on a holiday - the staff and my stay were a beautiful experience." 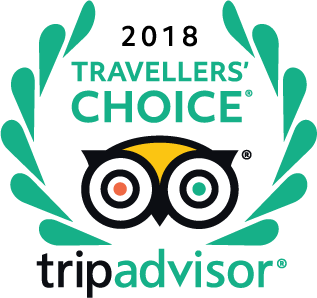 "I have never stayed in a more welcoming/comfortable hotel - The staff here is superb - including people like maintenance staff you may see - they all say hello, smile and want to ensure all is well. Hard to pry myself out of bed in the morning - very comfy. The bar and attached restaurant are exceptional - the lounge is a fabulous place to unwind. Does not get much better." "The Wedgewood is our favourite hotel. It is perfectly located right in downtown Vancouver but is always quiet and peaceful. It is close to all forms of transportation and all shopping and entertainment venues.The staff are very friendly and helpful. There are a lot of little extra touches that make you feel like the staff value you as a guest. The bedding is wonderful, I always sleep better here than at home and I think it is the only hotel I've ever stayed in where I can honestly say that. The Bacchus lounge and restaurant has a beautiful old school charm and warmth that makes it the nicest place to be in the city on a rainy autumn evening which is great since we can only afford to stay here in the off-season! To me the Wedgewood is about relaxation and romance. We always book the Deluxe Executive King room with the in-room soaker tub for two. I could go on but you'd probably think they paid me to write this. If you have the budget please try the Wedgewood, you won't regret it." "I have been fortunate enough to have stayed in some very well known hotels, including The Ritz in Montreal (many years ago), The Dorchester in London, The George V in Paris, The Des Bergues in Geneva, etc., and your hotel is superior in many respects. It is just the right size so the traveller has all the amenities of a large hotel and the personal touches that only your size permits. The staff is uniformly personable and competent. Lydia, the maid, was pleasant and unobtrusive as I asked her to clean whilst I was on the terrace. Housekeeping answered the phone immediately and picked up the dry cleaning minutes later. Very prompt. I had two massages and both Melissa and Stephanie were at ease and was a relaxing and pleasant experience delivered professionally. And Aimee was one the most charming people I have met in Vancouver, what a wonderful ambassador for your business having people like this. I do not normally have facials but after the pedicure from Annie, I had to try the facial the following day, it was arranged by Michelle. I was not disappointed. Excellent work considering what Annie had to work with. Room service was really fast which I appreciated and, of course, by this time I was not surprised by the friendly and pleasant attitude of these personnel. All in all, I have nothing but good things to say about your hotel but especially the staff from Christine at the front desk to the bellmen and Carey the doorman, the continuity was amazing. Congratulations on being responsible for operating a first class establishment." "The Library proved to be a great room for our gathering and the menu choices were upstaged only by the food itself. To a person – every dish received raves of appreciation. Obviously there is not a poor choice to be made! Tim, our waiter deserved special thanks. He read each member of the party as only as experienced master does well. His personalized service to each at the table is I believe the mark of outstanding hospitality that one can often only hope for. His professionalism definitely polished our evening. I look forward to my next opportunity to enjoy the delights of your restaurant, but until then please accept our sincere thanks to everyone on your staff for a wonderful evening." "I live in Vancouver and always recommend my friends from out of town to stay at the Wedgewood. I have also stayed there numerous times with my husband for special occasions. The location is perfect for strolling around the city on foot, the rooms are luxurious with a European feel and the staff are top notch. The restaurant, Bachus, is fabulous too and I even saw Betty White when I last stayed there who was also a guest at the hotel. I would highly recommend the Wedgewood to anyone that appreciates great taste in their surroundings and high expectations of professional and friendly service in the hub of Vancouver."